Face&Body - Francy Bio-Culture S.r.l. Face&Body There are 21 products. "Mani di Fata" Hand Cream (50ml – 1.7 fl oz) - Face&Body Line. 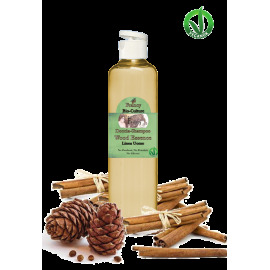 Natural remedy with glycerin that gives effective relief to dry and chapped hands. "Piedi di Fata" Foot Cream (50ml – 1.7 fl oz) - Face&Body Line. Concentrated formula that moisturizes and softens the skin giving relief to the feet. Body and Hair Wash "Wood Essence"
Body and Hair Wash "Wood Essence" (200ml - 6.8 fl oz) - Men Line. 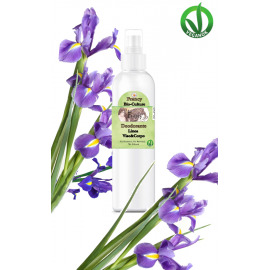 Gentle cleanser with a male and revitalizing scent ideal for frequent body and hair wash. 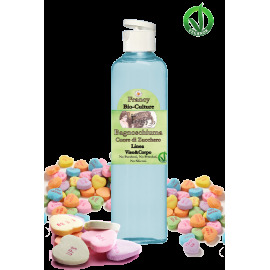 Bubble Bath "Cuore di Zucchero"
Bubble Bath "Cuore di Zucchero" (200ml - 6.8 fl oz) - Face&Body Line. 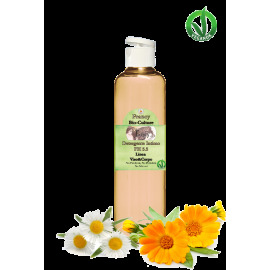 Gentle body cleanser for sensitive skin. 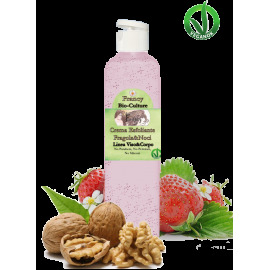 Exfoliating Cream "Strawberries&Nuts" (200ml - 6.8 fl oz) - Face&Body. Gently scrub that removes desquaming corneal cells by re-balancing the skin and leaving it fragrant and radiant. 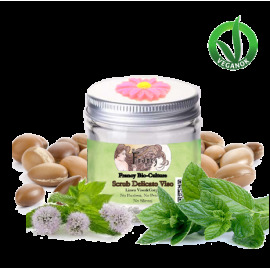 Its natural and organic components moisturize and nourish the skin all day long. Intimate Wash PH 5.5 (200ml - 6.8 fl oz) – Face&Body Line. Gentle cleanser thanks to its natural ingredients soothes the skin and gives freshness and hydration to the intimate area. Natural Lip Balm (5ml - 0.17 fl oz) - Face&Body Line. 100% natural lip treatment that moisturizes and protects chapped lips. Micellar Water (200ml - 6.8 fl oz) - Make-up Line. Gentle emulsion that smoothes, cleanses and hydrates the skin of the face, performing the function of make-up remover and tonic.